From the very beginning, we have given capacity building a high priority. Members are trained when they first join TYM and throughout the course of their Membership. Monthly Centre Meetings are a key instrument in capacity building and serve as a platform for TYM to carry out training workshops. 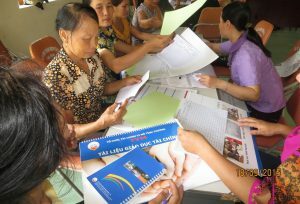 Since 1992 we have trained women in dozens of areas. 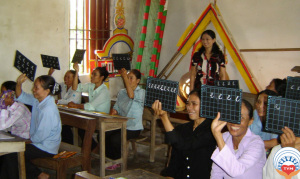 TYM also provides specialized training for Center Leaders (Members elected to manage Centers). Each year, TYM organizes courses for them about the centre management and credit disciplines. The training we offer Members evolves with their membership status and levels of participation. We believe that these training opportunities set us up apart from other credit organizations. 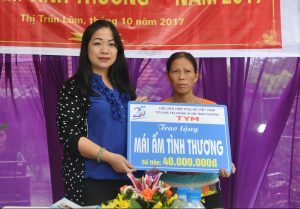 It’s a win-win situation because on one hand Members are grateful to TYM as they gain practical skills and receive services that improve their health and living conditions. 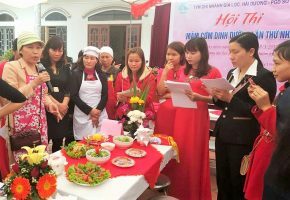 On the other hand, TYM and the Vietnam Women’s Union are proud because women with new knowledge and skills are more confident and better placed to improve quality of life for their families and communities. Access to healthcare is a basic need which we provide for all Members. 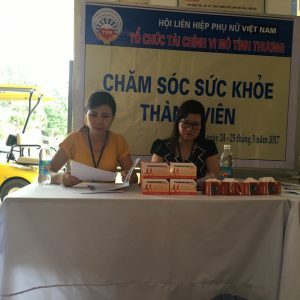 At the same time, TYM holds annual health checks for all Members and gives out free medicine for poor Members. 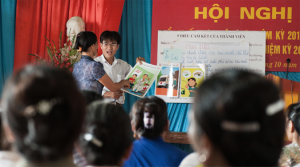 We consider women’s well being a top priority and therefore promote and train in initiatives such as reproductive health, gynaecological disease prevention, sanitation and hygiene. These consultancy services aim to build business capacity, provide technical support and enhance knowledge to support member’s entrepreneurial activities. 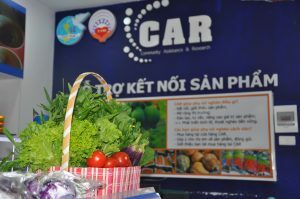 The initiative began in 2014 and seeks to connect and position members’ products on new, larger, more profitable markets via TYM officers, VWU’s staff, TYM outlets, online stores and other institutional networks, moreover it strives to introduce value chains and encourage members to work together to improve profits (wholesale group purchasing & formation of cooperatives). We consider that through enhanced value chains our Members can enjoy much higher returns on their goods. Check out our CAR Community Website dedicated to BDS. 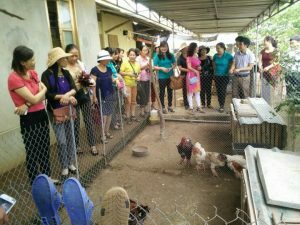 We organize a host of social activities to mobilize community spirit at the local level. 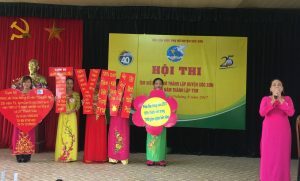 Annual events are organized to celebrate Women’s Day, Veteran’s Day and other important events. At the community level, TYM participates in activities that aim to improve infrastructure in local kindergartens and shared spaces. The communities where we work are home to a diverse range of households in socioeconomic terms. TYM staff and Members are guided by solidarity and aim to provide extra support for the most marginalized Members of society. For women living in precarious housing TYM can provide assistance via our subsidized housing program. We have provided safe and secure housing for more than 60 women since 2008. One of the most common aspirations held by our Member is to be able to afford high-quality education for their children. 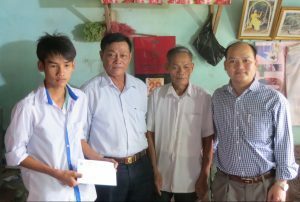 TYM recognizes this effort and encourages them by offering scholarships to Member’s children to cover tuition fees via the “Give Your Dreams Wings”. The initiative recognizes academic excellence achieved by adolescents in provincial and national competitions. 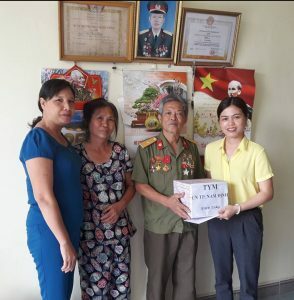 Finally, given that in Vietnamese culture the giving of gifts is highly important, especially around the celebration of Tet (Lunar New Year), we assist families in need by giving gifts during the national holidays.